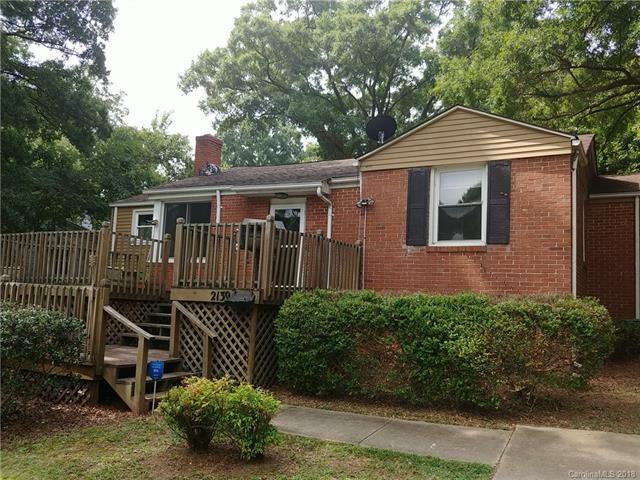 2139 Thurmond Place, Charlotte, NC 28205 (#3400519) :: Robert Greene Real Estate, Inc. Attention builders and investors!! This is the only available home in Plaza Midwood under $300,000 as of July 30!!! This awesome opportunity is located one block from The VanLandingham Estate & Midwood Park making it a perfect location for renovation or new construction. Home will need either a full remodel or new construction to realize highest value. It has been a rental for over 10 years and will need a buyer or developer with vision. Home sits in the middle of homes ranging from mid $500's to over $1M. Survey attached and per preliminary build-able area sketch, a first floor footprint of close to 2000sf is possible. Buyer to verify all zoning, setbacks and building regulations.